Kansas is a state in the central region of the United States of America. It is an area often referred to as the American "Heartland". It is named after the Kansas River which flows through the state, from the French "Cansez", by explorer Étienne de Veniard, Sieur de Bourgmont, and after the Kansa tribe, who inhabited the area. Today Kansas is one of the most productive agricultural states, and leads the nation in wheat and sunflower production. Today is the sesquicentennial of the founding of the state of Kansas. the official state song of Kansas "Home on the Range". Dr. Brewster M. Higley originally wrote the words in a poem called "My Western Home." He wrote it in the early 1870s in Smith County, Kansas. The poem was first published in a December 1873 issue of the Smith County Pioneer under the title "Oh, Give Me a Home Where the Buffalo Roam." The music was written by a friend of Higley's named Daniel E. Kelley. Higley's original words are similar to those of the song today but not identical. The song was picked up by settlers, cowboys, and others and spread across the nation in various forms. 'Home on the Range was a favorite song of Presidents Roosevelt's, Theodore and Franklin D. It was officially adopted as the state song of Kansas on June 30, 1947. Home On The Range sung by Gene Autry. An idyllic flashback to the 50s with a view into a simple life full of contentment. A log cabin, a family, nature at their feet, food to eat, what more can they need? How life has changed today. The family pictures were from the famous TV series Little House On The Prairie, which was so popular years ago. That the helianthus, or wild native sunflower, is hereby made designated and declared to be the state flower and floral emblem of the state of Kansas. Chautauqua County was organized in 1875. The name given to the county originally in 1955 was Godfrey after "Bill" Godfrey, a noted trader among the Osages. In 1861 the county name was changed to Seward. In 1867, the Legislature, created the county of Howard in honor of Major General O. Ol Howard, for his efforts in behalf of the Union. In 1875, the Hon. Edward Jaquins, whose former home was Chautauqua County New York, introduced the bill which divided Howard into Chautauqua and Elk counties. Chautauqua County was named after Hon. Edward Jaquins former native place. Cedar Vale Museum is located in the Adams Mercantile Building. 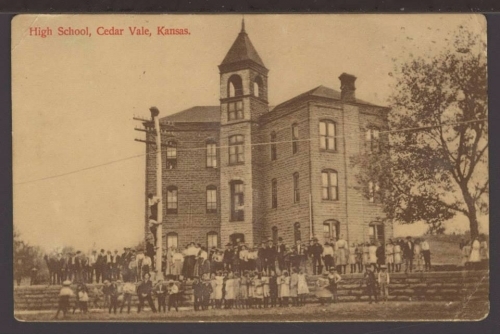 Cedar Vale was founded in 1869 by J.R. Marsh who was hunting a place of peace and rest." He was captivated by the local tall grass prairies and spoke of the beauty of the nearby Lookout Mountain and of fertile lands near the Big Caney and Cedar Creek where cedar trees lined the banks of both. Cedar Vale was platted the next year. Visitors will notice the town is not "square with the world." This is because it was laid out in 1870 so that looking down Cedar Street gave an unobstructed view of Caney and Cedar Valleys and the junction of the two streams. In 1884 Cedar Vale became a city of the the third class. Cedar Vale, today is a small thriving community with an approximate population of 725. It was referred to as "The Gem City of the Sunflower State... Cedar Vale is the most enterprising Little City on Earth.." in the book 'Dawn of the Twentieth Century 1901'. Today it is a town with many businesses, beautiful old homes, churches and downtown buildings. Located just off of Highway 166 in western part of the county, Cedar Vale has a school with grades from Pre-K through high school, lovely parks, swimming pool, hospital and many more amenities. It is a farming,and ranching community, but also is home to many other businesses which are important parts of the the local economy. It is home to the Cedar Vale Museum, an outstanding museum housed in the historic old Adams Mercantile building where you will find many artifacts, pictures, history of the town and area. Cedar Vale hosts several events throughout the year, including Spring Fling with Barbeque Cook-Off, Rodeo, Entertainment, Craft Booths, and Car Show, Memorial Day Weekend with Rodeo and Alumni Reunions, Labor Day Celebration and Rodeo, and Old Fashioned Christmas Celebration. More history, stories and more will be continually added to this page. Check back often to see what we've added!! The career of Cedar Vale, in the extreme western portion of Chautauqua County probably has been as uneventful as that of any town in Kansas. From the time it was established in 1869 and Incorporated in 1874, it has grown slowly but steadily, prospering when the farmers were prosperous and suffering in times of crop failures. Cedar Vale has never had a boom. At the time the site for Cedar Vale was located the nearest town to it was Howard forty miles away. Windfield and Arkansas City were located about the same time but Cedar Vale, as a town was far ahead of them for some time. The site for Cedar Vale was located by J.R. Marsh, still one of its citizens. Marsh came here in the summer of 1869 and took up a claim. He then set out to lay out a town. It is nine miles from the Osage line. Marsh started to Kansas City after groceries to start a store. He got up on Paw Paw Creek where he met Squire Aker. He told Aker of his town and from the description he gave, Aker became interested and wanted to can down to see it. Upon arrival Aker asked that he be given the privilege of suggestion a name for the town. Marsh asked Aker what name he would suggest. Squire Aker said that recently he had read a book which mentioned a village called 'Cedar Vale'. Cedar Creek was covered with such trees, so when a town company was organized the town was named Cedar Vale, the name the Squire suggested. Cedar Vale became a city of the 3rd class by an election held May 19, 1884, and the following officers were elected: F.M. Hills, mayor; E. H. March, police judge; J. L. Cox, F. M. Ross, Mc.D. Stapleton, A. J. Constant and G. R. Dale, councilmen. NOTE: From my personal knowledge and research, everything have found indicates that Col. F.M. Hills arrived in Cedar in 1872 possibly before. Also, that Ozmer and Socrates were in Cedar Vale in either 1869 or early part of 1870. I will do more research on this to try and verify the dates. Published by the Cedar Vale Historical Society during the city's 105th anniversary. 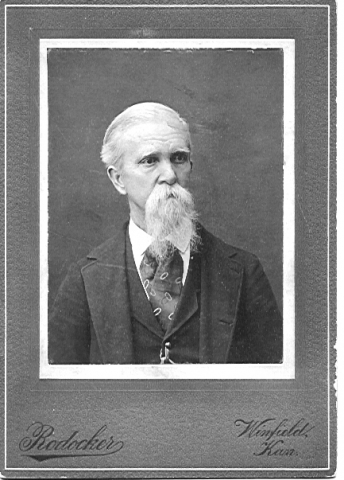 Col. Francis Hills, hero veteran of the Mexican and Civil Wars, came to Cedar Vale early in 1874, becoming that same year the mayor of the town. He was mayor again later, as was his son-in-law, A. U. Burdette. Colonel Hills was prominent in business, financial, church, and civic circles until his death in 1915, aged 86. Mrs. Hills died in 1935. The last of his 16 children, Vilette Hills, lives presently, Cedar Vale. Ozmer and Socrates, younger brothers of Francis have arrived in 1872 and were at first goatherders and among the town's most eligible young bachelors. Ozmer married Jennie Smith. Among his civic accomplishment was the laying out of the Cedar Vale cemetery. Later, with his wife and two sons, he followed the gold rush to Colorado returning in old age to Pennsylvania. Socrates became a local merchant, remained single and finally returned to his ancestral home in East Hampton, Connecticut where he died at 96. Their sister, Elizabeth M. Hills Al bright, a widow came to Cedar Vale in 1876 with her two sons, Henry Haines and Penrose Hills, With them were Henry's wife and niece, Annie Niles. Henry was a loan broker and died young in 1884 after having moved to Sedan. Penrose practiced law and established the Chautauqua Times(now Sedan Times-Star) here, later moving to Sedan and in 1881 to Winfield where he helped to build the younger town and founded the Albright Investment Co.
P. H. Albright was area leader maintaining Chautauqua County connections until his death in 1922. He tested the hills around Cedar Vale for copper, lead, and zinc. He introduced alfalfa and headed the Union Oil Co., and the Moose-Keeny-Albright Oil co., both successful Chautauqua County drilling enterprises. Francis, Ozmer, Socrates and Elizabeth M. were children of Gilbert and Hannah (Strong) Hills, Mayflower descendants and book publisher of Lancaster, Pennsylvania. Cedar Valeans- people who have lived in Cedar Vale since it's founding by J. R. Marsh in 1869. Harry L. Cox, who was associated with the Adam store at Cedar Vale for over 60 years, came to this community in 1870, according to notes he had put down for talks to various groups on Cedar Vale’s early days. With his parents he came from New Hampshire to Emporia by train where they met by his uncle, J. L. Cox. From Emporia the journey was completed in a covered wagon, which also carried all the family belongings. Boards placed vertically. These boards shrunk and warped and let in the winter cold. Some of Mr. Cox’s early recollections: Indians coming in the door asking for food which was somewhat frightening for newcomers. The grasshopper year when the insects darkened the sky and cleaned off the vegetation. A prairie fire which singed his eyebrows and his father’s whiskers as they fought it off their land. Sickness-someone had fever or ague most of the time. The main medicines were calomel, quinine and sweet spirits of nitre. Hauling corn to Elk Falls to be ground into meal. Deer and antelope were plentiful as late as 1885. Quail sold for 25cents per dozen, prairie chicken-60cents for doz. Catching bass-willow branch for rod, linen thread for line, bent pin, red rag or salt meat for bait. Women bathing in river in Mother Hubbard dresses-no men allowed near. Spelling “schools”-one of the main social events-along with ”log raisings” and dances to celebrate completion of a new cabin. Syrup made from walnut sap. Railroad built through Grenola in 1878, shorthening the trip after supplies-could drive there in one day and back the next. Church services were well attended regardless of denomination. First hotel-at corner of Monroe and Walnut where Mrs. Allen’s’ Maple Hotel is now. The original building was built of green sycamore boards. First store-east corner of Cedar and Lawrence. Note: We do not know the date this was taken. 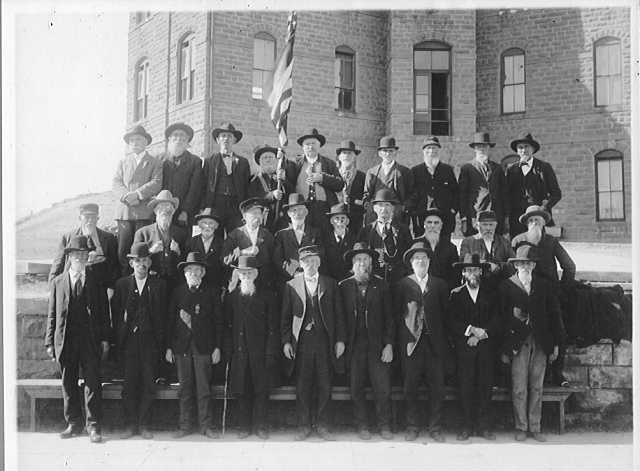 Many of those in the photo were living in CedarVale, Kansas. Some other names from the area include Lemuel Cox, Lock Lemert, Mr. Myers, Col. Hills, Mr. Stocking, John Burden, Larry Guthrie, James Foudray. We will post the names of the other soldiers in the photo as soon as we access our files. Part of what was one of the world’s two greatest fighting forces in their day, were represented here at this GAR reunion at the home of Col. F. M. Hills. At the gathering were the ex-soldiers with their wives and families behind them. The men in the picture were, left to right Mr. Schwartz, Dan Kautz, George Leggett, Mr. Jaquith, Lemuel Cox, Lock Lemert, Mr. Myers, Col. Hills, Mr. Stocking, John Burden, Larry Guthrie(behind him is Mr. Crawford), John P. Wilson, Mr. Lister. COL. F.M. Hills, merchant, was in Connecticut in 1829. When twelve years of age, he went to Pennsylvania, where he remained until 1847, when he enlisted in the second Pennsylvania Infantry, and went into the Mexican war, serving one year; and was at the capture of the City of Mexico, and several other battles. In 1861, he volunteered in the Forty-fifth Pennsylvania Infantry, and was commissioned Captain in command of Company I. In the spring of 1863, he became Lieutenant Colonel of the regiment, and took command of the same, and served three years. He was in the following heavy battles: south Mountain, Antietam, Vicksburg, Jackson, Fredricksburg, the Battle of the Wilderness, Spottsylvania court House, Cold Harbor and several other engagements. After coming out of the army, he located at Titusville, Pa., and engaged in the tobacco trade, remaining there until 1872. Emigrating from there to Kansas he located in Chautauqua county, where he engaged in farming. In 1878, he engaged in the hardware and furniture busness at Cedar Vale, which he has built up a large trade; also carries a stock of lumber, etc. His trade has more than doubled, and he has enlarged his building more than one-half to accommodate his increasing trade. He was married in 1860 at Titusville, Penn., to Miss Annie Proper. They have six children-Josephine G., Daisy E., Minnie A., Grace H., Gilbert P. and Albert. He is a member of Cedar Vale Post No. 99, Grand Army of the Republic. Francis M. Hill, captain; enlisted October 18, 1861; promoted to Lieutenant-colonel March 1, 1863: resides in Cedar Vale, Kansas. F. M Hills was born in Hebron, Conn., June 15, 1829. His military career commenced at the age of 17, at which time he enlisted in a company that was being recruited by Captain James Caldwell at Newton-Hamilton, Pa., which company afterward became Company M, second Regiment, Pennsylvania Volunteers, and marched from Vera Cruz to the City of Mexico, a distance of 300 miles; was engaged in the battles of National Bridge, Chapiltepec and the taking of the City of Mexico, and was discharged in may, 1848, by reason of an injury received in the latter engagement. F. M. Hills came to Wellsboro in 1856, and was engaged in business until the summer of 1861, when in response to the President's call for more volunteers, he made the attempt to raise a company, devoting his whole time and energy to that purpose and was so successful that on the 30th day of September, 1861, he left Wellsboro for Harrisburg with about 60 men. He was commissioned captain by Governor Curtin and sworn into service October 18th, 1861, for three years or during the war. The company now became Company I of the Forty-fifth Regiment, Pennsylvania Volunteer Infantry, commanded by Colonel Thomas Welsh. The first engagement in which the captain participated was on James Island, S. C., when with a portion of Companies H and I, he repulsed a regiment known as the Georgia Tigers. Grahams, S. C., June 22d, 1862. I have been very much gratified in hearing the account of the heroic conduct of Company I, as also of Company H, in the late important movements on James Island. I feel peculiarly gratified with the conduct of Company I because I had been so intimately associated with it for so long. I have not changed my opinion of it, however, in the least, for I had always regarded it as second to none in the regiment for material and it was rapidly improving in drill and discipline before it left here. The intelligence of the death of Sergeant Dartt, which I have just received through Lieutenant Gregg, pains me exceedingly. He was a brave and faithful officer and will be much missed in your Commissary Department. Please remember me to Lieutenant Ackley and the boys. Captain Hills was also engaged in the battles of South Mountain, Antietam and Fredericksburg subsequently, and of many others. He was commissioned lieutenant colonel of the Forty-fifth Pennsylvania Volunteer Infantry by Governor Curtin March 1st, 1863; went with the regiment to take part in the siege of Vicksburg, and commanded the regiment in the battles of Jackson, Campbells Station, siege of Knoxville, Blue Springs, Wilderness, Spottsylvania and Cold Harbor. He was disabled before reaching the front at Petersburg and up to that time was in every battle and skirmish in which the regiment was engaged. He resigned about September 15th, a864, on account of disability, and returned to Wellsboro, Pa., being engaged in buying horses for the the government. 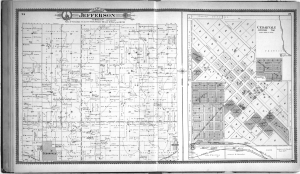 In 1865 he removed to Titusville, and in 1872 went to Kansas, where he soon became one of the most useful and prosperous citizens of the community in which he resided. Now while he is waiting for the summons to the last roll call he can lay down his armor with the consciousness that he has nobly performed his duty both as a citizen and a soldier of this Grand Republic. Obituary-Published in the Cedar Vale Messenger at the time of his death on April 16, 1915. Francis M. Hills, of Cedar Vale was born in Hebron, Conn., June 15, 1820, and lived there until six years of age when, with his parents he moved to East Hampton, Conn. There he worked as a farm boy, hoeing corn and potatoes among the rocks, reaping with a sickle, turning grindstones for haymakers to sharpen their scythes, scattering hay with a forked stick, and cutting wood for a fireplace. There were no stoves or matches in those days and when the flint and tinder failed, one had to go with a shovel to borrow fire from a neighbor. The boys in those days fished in the books with a white thread and pin hook, and he got two cents on the Fourth of July to go to the training with, he was thankful. Those were his happiest days which he never forgot. In 1840 Mr. Hills went to Lancaster, Pennsylvania, where his father, Gilbert Hills, was a book publisher and kept a bookstore: and with Thadeus Stevens had a station on and underground railroad that ran from Mason and Dixon’s line to Canada. They were the only two men who dared to speak against slavery in Lancaster City. F. M. Hills went to school and worked in the bookstore until he was 17, at which time he volunteered to go to the Mexican War as a private in a company that was being raised by Capt. James Caldwell at Newton Hamilton, Pennsylvania. He went to Pittsburg on a canal boat then to New Orleans on the steamboat Col Yell, and from there to Vera Cruz on the steamship Alabama. At Vera Cruz he was equipped for business with a flintlock musket, a knapsack loaded inside and out, with overcoat, boots, clothing, blankets, 40 rounds of cartridges, canteen and haversack, and with sea biscuit that dislocated his jaws. The total weight of equipment in the morning of the first day’s march was 40 pounds. The total weight the first night was 15 pounds-the surplus had been dropped along the road. The march from Vera Cruz to Mexico City was 300 miles. He was discharged in 1848 on account of an injury received in taking the city. He kept a tobacco store until he was recruited in the Pennsylvania Volunteers where he was commissioned lieutenant colonel by Gov. Curtin, March, 1863, and as such was present at the siege of Vicksburg and in command of the regiment in the following battles: Jackson, Campbell’s Station, siege of Knoxville, Blue Springs, Wilderness, Spotsylvania and Cold Harbor. He resigned About Sept. 15, 1864, on account of disability caused by hernia and liver complaint and returned to Wellsboro, Pennsylvania, and bought horses for the government. In 1864 he moved to Titusville where he engaged in the livery and tobacco businesses and in May, 1872, came to Kansas and bought the farm between the forks of Cedar Creek and Caney River and one adjoining Cedar Vale from E. M. Hewins, on which the two depots stood. In 1879 Mr. Hills engaged in the hardware business and continued in it until he sold out to Maber and Lewelen, November 20, 1899. In December, 1904, he resumed the selling of hardware, furniture, and implements. He was, in 1884, the first mayor of Cedar Vale, and office he again filled in 1892, and 1902. In 1903, he organized the first Methodist Sunday school, of which he was superintendent for about 20 years. For the same time he was class leader, trustee, treasurer, and janitor, all without salary. Mr. Hills organized and was president of Cedar Vale’s firs commercial club, was president of the Cedar Vale cemetery association, and director in the Cedar Vale National Bank. He received an invalid pension59 years. He was an Odd Fellow, Methodist, and Republican. For many years he was commander of Cedar Vale Post No. 99 G. A. R., was selected as Marshall for Memorial Day observances. In 1887 he was Third District delegate to the National G. A. R. Encampment at St. Louis and in the 1880’s was a member of the State Historical Society. Mr. Hills was a direct descendant of William Brewster who came to America on the Mayflower from England. Brewster was born in 15666 in Scrooby, England, died April 10, 1644, in Plymouth, Massachusetts. The F. M. Hills home was well-known in Cedar Vale, Kansas. His wife was Annie Laurie Proper Hills and they were the parents of 13 children. He had three other children from a previous marriage. At one time F.M. and Annie Hills owned a half block long store beginning where the Wagon Wheel Cafe once stood. Genevieve Hills Barger, Violette Hills, were his daughters; Harold Barger and Francis "Bus" Barger, grandchildren, and great-grandchildren were H. L. Barger and Shirley Barger Henson, all grew up and were raised in Cedar Vale, KS. When Annie Hills died, all of her honorary pallbearers were women, which was quite unusual for that time. The Hill's home, was located on Cedar Street and was kept in the family for over 30 years after the death of F. M. and Annie Hills(Annie passed away in the 1930's), until sometime in the 1960's. Genevieve (Hills) Barger home was just to the south of the Hill's homeplace on Cedar St. Genevieve home was removed in the 1970's. Violette Hill's home for the remaining years of her life after Genevieve's death is still on Cedar St. a couple of homes south of where Genevieve's home and the Hill's homeplace was located. F.M. Hills, Annie Laurie Proper Hills, Genevieve Hills Barger, Violette Hills, Harold N. Barger, Francis "Bus" Barger, are all buried in the Cedar Vale Cemetery along with many other family members. Thomas Edgerton “Tott” Smith was born in Lawrence, Kansas Jan. 10, ? ?, just a few days before Kansas became a state. He with his mother and sister were in Lawrence during the Quantrill raid. In 1874, his father, Lieut. Ben Smith moved his family to Sedan where he engaged contracting stone and brick work, building many buildings and bridges in Chautauqua County. In 1883 “Tott” married Nannie Baker and lived in Sedan, working with his father. He was known throughout the country side for his beautiful music. His violin accompanied him wherever he went. In 1899 he and his family moved to Cedar Vale and built most of the stone and brick buildings here. The buildings now in use include the L. C. Adam Merc. Co. building (Wise Hardware), the former Cedar Vale National Bank building, Moon’s Grocery, the Post Office building, smith’s Grocery, don Hankins Drug Store, the Episcopalian church, many bridges in the county and buildings in Peru, Elgin, Chautauqua and Hewins. In 1907 Mr. Smith and family moved to Pawhuska, Okla., where he died in 1934. The children are Edgar(deceased), Erle(deceased), Janet(Mrs. Homer Leedy) of Cedar Vale, all three graduates of Cedar Vale High School, Mamie( Mrs. F. E. Wooten) of Fairfax Okla.(deceased), Lela(Mrs. T. E. Werrick) of Bartlesville, Okla., Paulie(Mrs. J.P. Mosier) of Tulsa, Okla., Wayne B. of Farmington, New Mex., and tow boys who died in infancy. Press - COMMERCIAL W. M. Jones, Prop. Those of you who have never had the pleasure of visiting Cedar Vale, the Gem City of the Sunflower State, can glance o'er these pages and learn something of one of the most thriving cities in the state of Kansas. The city of Cedar Vale is located on a gentle undulation, slightly elevated above, and between the valleys of the Big Caney river and Cedar creek, in Chautauqua county, on the southern tier of Kansas counties. Along the cliffs on the south side of Cedar creek, the graceful cedar grows in great abundance--and from this combination of cedars and valleys the name of the city was derived. Cedar Vale is without exception the best city of its size in state. It is a bold statement to make, but we make it without fear of contradiction. No other city of 1,000 population can compare with it in any respect. It stands without a rival. It is our wish in placing this Souvenir before the public, to impress upon those persons who have never had the pleasure of being a visitor in this city, the fact that Cedar Vale has no counterpart in the entire state--it has no peer--it has no equal--it is unsurpassed. From whatever standpoint you may view it, it will bear the closest inspection and evolve safely from the ordeal. There are larger cities that have more refined, intelligent, cultured people, but they only exceed in quantity, not quality. It is as if a city of say 20,000 had been boiled down until all the dross was eliminated and only the best preserved--its best business houses, best residences and best class of citizens. In some of its appointments it will even surpass cities of upwards of 25,000, reference being especially had to its new opera house, new Odd Fellows' hall and the handsome interiors of its two banking institutions. Municipal ownership of utilities is here demonstrated by the fact that the city owns and operates its own waterworks. It has a very complete system, with stand pipe at a sufficient altitude to afford a pressure for fire protection that fully meets all requirements, with a full quota of hydrants on each business corner, and sufficient mains and pipes to carry the water into business and private houses. The supply of water is obtained from the river and is of extra good quality. The plan is giving excellent satisfaction, the cost being reduced to a minimum. This is something in which the citizens fell considerable pride, and they are justly entitled to it. It was no small undertaking from a financial standpoint, but the little burg is full of enterprising and progressive people and you can't hold them back. They have confidence in its future and are willing to back their confidence with capital. This same confidence and enterprise was displayed by J. M. Dosbaugh, a successful young business man and banker of Cedar Vale, when he built and equipped a telephone system over the city and carried the line to Hewins, eight miles distant. There are now 75 subscribers and more will be added as soon as the work can be arranged. It has proved a great convenience to the people and is appreciated. Everything connected with the plant is modern and includes the latest inventions or discoveries in electrical appliances. An electric light plant has just been added to the enterprises of the city of surprises. It was built by W. R. Babb, Jr., and its present capacity is 100 lights, which will soon be increased to 200. At present it supplies only the business portion of the city with incandescent 16-candle power lights. The dynamo is of multipolar type, 110 volts; the motor power is obtained by a gas engine. As soon as the work can be accomplished the wires will be extended to the residence portion of the city. Several massive business houses give the visitor an impression of stability and at once convince him that large mercantile interests are centered here. These building are of stone and brick, built in a thorough and substantial manner--but notwithstanding their great size they are taxed to their utmost capacity by the immense amount of business transacted within their walls. Some idea of the magnitude or this business may be inferred from a view of the principal business street, where for several blocks may be seen vehicles of every description, lining the thoroughfare on both sides; this same condition exists also on a number of side streets running out of Main street. Everything in the way of business is crowded to its greatest capacity, and without doubt a number of the smaller frame buildings will have to be replaced by larger ones of modern structure and of more substantial materials. Such changes are in contemplation and the dawn of the Twentieth Century will witness a great impetus in building operations. Several modern mansions are scattered throughout the residence portion--homes that are very homelike in appearance and artistic in design is the almost invariable scene that meets the eye in wandering about the different parts of the city. Many new ones will be erected the coming season, as there is a great dearth of dwelling houses in Cedar Vale. Everything points to a prosperous and steady growth for this wonderful little city. Among the more prominent buildings is the city school, which contains eight class rooms, presided over by two male and six female teachers. It is a three-story structure, very unique in design, affording the most perfect conditions for ventilation and light, two very desirable attainments in school architecture. It can perhaps be most accurately described as three wings attached to a tower, in which tower are located the stairways to each floor. The building is heated throughout by steam. Realty values in Cedar Vale may give some idea of the high esteem in which the city is held by the denizens thereof. The owner of a 25-foot business lot refused $2,000 for the land without any buildings--it is held at $3000. Residence lots in desirable locations range from $500 downwards. This feature of stiff prices of real estate probably has no equal in cities under 5,000 to 6,000 in any portion of this western country. There is no element of boom in these figures--there is a steady and continuous growth, but nothing pertaining to the ephemeral order of the balloon period which existed in so many Kansas cities nearly two decades ago. This is simply another expression of the confidence of the citizens in their city. They think it is worth the price. The country adjoining contiguous and tributary to Cedar Vale is divided into good farming lands and stock ranges. There are a number of excellent farms which are very productive. The city is distant only two miles from Cowley county, which is a good wheat producer, and it in turn is bounded on the west by Sumner, the banner wheat county of the state, so that this section is within the confines of the wheat belt of southern Kansas--the yield per acre is good but the acreage is somewhat limited in extent. There are also raised good crops of corn, alfalfa and other farm products. Yet it is more on account of the excellent quality of cattle that this section of the country is famous. Perhaps in another part of the world can you find within as limited an area, so many different varieties bred up to such a high standard of perfection. There are thoroughbred registered cattle in Herefords, Galloways, Shorthorns--animals ranging in value from $500 to $1,500 per head--more particular reference to some of these being made in another part of this book. A great many hers of high grade cattle may be found in portions of this contiguous territory. There are also breeders of thoroughbred racing stock, harness horses. Berkshire hogs and standard bred chickens. As a cattle shipping point this county has a record, one station alone shipping annually 75,000 carloads, making it the heaviest cattle shipping point in the world. 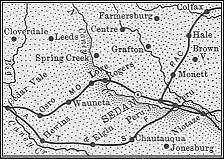 The Osage Indian reservation commences eight miles south and for nearly seventy-five miles pay tribute to Cedar Vale. Vast herds of cattle are pastured throughout the entire reservation, which is an ideal cattle country. 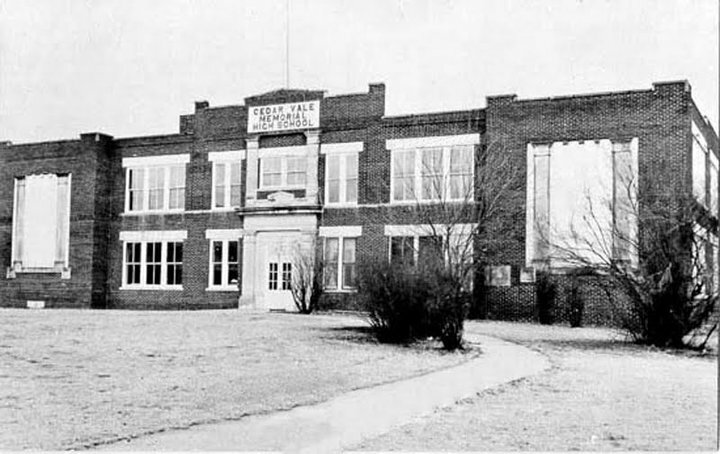 Every three months the Osage Indians receive nearly $100,000 from the United States government, a considerable portion of which finds its way to Cedar Vale and is expended among its merchants. From an educational standpoint, Cedar Vale is able to compete for honors with any city of its size in the state. The faculty of the city school is composed of capable teachers, who take great pride in their work and are much esteemed by the parents who have children under their care. The high degree of intellectuality is not confined to those immediately identified with educational work, for there are among the prominent people of the city those who are artists of no mean calibre. Artists who can give expression and touch to the instrument that stamps them as pianists PAR EXCELLENCE--artists who can manipulate the bow of the violin and strings of the mandolin and bring forth music fit for the gods--artists whose vocal attainments are successfully recognized and appreciated--and yet others who are famous for their elocutionary and histrionic ability. Then, too, there are artists who with crayon and paint brush can execute fine portraits or reproduce scenes from nature, and for some the camera has its charms and has been used very artistically. And a still higher order of intellectuality is being cultivated by quite a large and growing circle of earnest men and women, who are making quiet research into the doctrine (which so many of our greatest scientists have accepted after thorough investigation) the doctrine of psychology or occultism, and these are striving to attain that higher plane to which their teachings point. Viewed from the orthodox standpoint, Cedar Vale is not as overburdened as many towns in the state. Three denominations have their church buildings--Methodists, Baptists, Christians. The Episcopalians meet semi-monthly, the Catholics once a month. A very handsome edifice will be erected by the Episcopalians early in the coming spring, for which the greatest credit is due the Ladies' Guild, they having raised the sum of $800 for the building fund by entertainments of various kinds. BAIRD HOUSE--MRS. A. T. BAIRD, PROP. In the smaller cities of the west the hotel accommodations are too frequently neglected--they are almost invariably styled first-class, whereas the only thing about them that is first-class is the quantity of gall that is developed by the proprietors in charging first-class rates for an inferior article. But when you stop in Cedar Vale and put up at the Baird House, you feel that you are getting value received, and realize that you are eating at the best table, attended by the best service and surrounded by the best accommodations to be found in southern Kansas. The regular bus meets all trains and carries you to the hotel, where you are greeted by the gentlemanly manager, Archie Baird. As soon as you enter the door you feel that your troubles are ended for the time being--every wish being seemingly anticipated--every effort put forth to make your visit as agreeable and pleasant as possible. Evidently the motto of the Baird House is "Nothing too good for our guests," an for this reason it is exceedingly popular among commercial travelers, and especially known as a good place to Sunday in. Travel the state from one end to the other and you cannot find any hotel that enjoys a better reputation--the reputation of being up-to-date and one of the very best to be found anywhere. Press-Commercial W. M Jones, Prop. This Photo was taken in the days of mud streets and gas lights. It’s the old Cedar Vale National Bank building, with the Opera House above. W. M. Rothrock’s had two entrances, one where Moon’s Grocery entrance is now located and the other where Burt’s Plumbing Shop used to be located. The Opera House Restaurant and Boarding House was next door to Rothrock’s where the Capri Theatre is now located. This is the oldest banking institution in the city and among the oldest in southern Kansas. It is one of the three largest private banks in the state. In 1884 the Cedar Vale Banking Company was organized with John Dosbaugh as president. In 1890 it was changed to Dosbaugh's Bank, under the ownership of John Dosbaugh. In 1895 J. M. Dosbaugh was admitted to partnership with his father. The capital stock is $25,000, surplus $2,500. John Dosbaugh is one of the prominent men of this section and has always been ready to help any legitimate enterprise. He is also one of the foremost cattle breeders, confining his attention to Galloways, of which he has a very fine herd, many of which are registered. J. M. Dosbaugh, although quite a young man, has become very largely identified with the progressive action which has been one of the marked characteristics of Cedar Vale for several years. He will soon have completed one of the finest residences in this section of the country. He also is owner of the telephone systems of Cedar Vale and Sedan and has been active in securing and assisting in the establishment of an electric light plant in this city. The banking institution which these gentlemen manage has the confidence of the community. The business is conducted in their own magnificent building, which was erected in 1899--of which we show both exterior and interior views--and no other banking house in the state is more complete in every appointment than is this one. It is one of the many institutions in which Cedar Vale takes great pride on account of its solidity in every respect. With the dawn of the Twentieth Century, a new era was inaugurated into the banking interests of Cedar Vale. The increased business activity in the mercantile and cattle industries of this section required an increase in the monetary interests, and a number of the leading cattlemen residing in or near the city, together with some of the citizens, became stockholders and took out a charter for The Cedar Vale National Bank, which opened its doors for business on December 1, 1900. This institution owns the corner of Polson's block. It has a very fine interior, as shown in the engraving--one of the most attractive and best furnished banking institutions in the west. The president, J. J. Willson, is a wealthy cattleman, owning 3,340 acres of good farming and grazing land about three miles from the city. He handles from 1,000 to 3,000 head of cattle. He came here from Illinois about twenty-five years ago and is one of the enterprising men of this vicinity. The vice president, L. N. Guthrie, has about 700 acres of land and handles about 300 head of cattle. He has a fine city residence, has lived in this section for nearly thirty years, and is one of the enterprising citizens of Cedar Vale. His son, William, manages the farm, on which there is also a fine residence. J. T. Bradley is one of the directors and is also interested in the banking business at Sedan. The cashier, J. P. Tabler, is mayor of the city and until his appointment as cashier was manager of the Long-Bell Lumber company's business at this point for about ten years. He has lived here about thirty years and has held either city or township office for about twelve years. He owns a modern and very handsome residence built in 1900 and not entirely completed at the time our view was taken. One of the prominent directors is J. H. Leedy, who has an elegant home and farms 435 acres about two miles from the city. He also has about 300 head of high grade Shorthorn and Hereford cattle and from 200 to 300 thoroughbred Polan China hogs. Mr. Leedy was born in Ohio, came to Kansas from Indiana in 1870 and has been a resident of this particular section since 1892. He is an energetic, successful business man and full of enterprise. Another director is Wm. McCarty, who owns 780 acres of land about four miles out. He usually has from 100 to 300 head of cattle and is breeding Herefords--has a good bunch of pedigreed cows and some fine young registered stock. His son, Wm. McCarty, Jr, resides on the farm and has general management of it. Mr. McCarty has a nice residence in the city and has retired from active business. Locke Lemert, another of the directors, is owner of about 1,100 acres of good farming and grazing land and has about 300 head of cattle, headed by a thoroughbred Durham bull. He has a city residence and the farming interests are supervised by his sons, who are very successful young men. 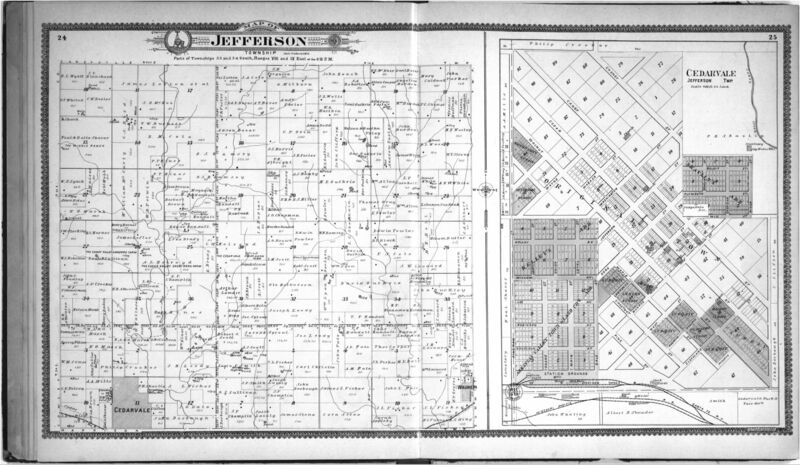 J. R. Marsh, also a director, came from Emporia in 1869. He selected the site on which Cedar Vale now stands; he also named it, built the first building, started the first store, was its first postmaster, proved up the first farm, brought in the first mill, has built or bought thirty-four residence properties and owns five business places. In all matters of enterprise and public spirit Judge Marsh is a leader. The board of directors of The Cedar Vale National Bank is a strong one and enjoys the entire confidence of the people. The banks of Cedar Vale are a bulwark of strength and no other city of its size can compare with them in any degree whatsoever. This is a joint stock corporation, capital $20,000 fully paid up, and was organized about four years ago. The annual sales of this company will average about $75,000. The principal stockholders are G. R. Dale, C. D. Murphy, A. H. Baird, J. H. Bartgis. The building shown in the engraving is 25X128 in size, built of solid stone--it is owned by this company. A full line of general merchandise of every description is carried in stock and ten clerks are employed in conducting the business. With the commencement of the new century they adopted a strictly cash business and are meeting with success under the new regime. C. D. Murphy, who owns nearly one-half of the stock, is a commercial traveler for a St. Louis clothing house. He has lived in Cedar Vale about thirty years and has taken an active part in the building up of the city. A. H. Baird, who owns over one-third of the stock, is the manager of the Baird House and one of the active promoters of Cedar Vales' interests. G. R. Dale, another stockholder, is one of the first settlers of this section and has been identified with mercantile affairs for a number of years. He is now the principal fire insurance agent here. J. H. Bartgis is manager of this dry goods department and is a son of one of the early homesteaders. He is also interested with A. H. Baird and others in zinc and lead mining in Arkansas. L. C. ADAM & CO. This mercantile institution has the largest department store in southern Kansas. It is a partnership company, the members of the firm being L. C. Adam, H. L. Cox and J. B. Whartenby. The business is carried on in two large stores, but has outgrown its present dimensions and a large, new building is to be erected on the corner of the block, which will make one of the finest business houses to be found in any part of this section. There are usually employed abut twenty-five salespeople, clerks, book-keepers, cashier, live stock and grain buyers. In addition to the general mercantile business, the firm deals very largely in the purchase of live stock and grain, and have their own elevator at the Missouri Pacific railroad yards. L. C. Adam, the senior member of the firm, is numbered among the most enterprising business men of the city. He has been in Cedar Vale fifteen years and engaged in active mercantile pursuits during that time. At the present time he is largely interested in cattle raising, wintering 1,000 head of Texas cattle, and with his brother, A. I. Adam, is also wintering 300 natives. In partnership with his brother he also owns the Hewins homestead of 1,150 acres, and individually has a 600 acre farm on Big Caney, below Hewins. H. L. Cox has lived here about thirty years, coming with his parents from New Hampshire when two years old; has been connected with mercantile business in Cedar Vale for seventeen years; has been associated with L. C. Adam for twelve years; has a fine city residence and is an active promoter of anything pertaining to the advancement of the city's interests. J. B. Whartenby has recently become associated with this firm, having for eighteen months previously been manager of the Cedar Vale Mercantile company's business. He located here in 1883, coming from Zanesville, Ohio. During the past fifteen years he has been actively engaged in business. Has a ranch of 1,000 acres southwest of the city on which has been found mineral, gas and coal, which will be developed at an early day. Mr. Whartenby has always been ready and willing to help any enterprise for the benefit of the community. The staff of employees are as capable and energetic people as can be found in any part of the country, courteous in deportment, obliging in disposition and in every way ready to forward the interests of the firm. Cemeteries located in Cedar Vale, Ks or near the town. From time to time we will add recipes and other concoctions from the early days of Cedar Vale. Sometime known as Fried bread or fried biscuits. Use biscuit dough. Pinch off enough dough so that when it's rolled or pattedout you will have a patty about the size of a pancake, that is an 8-10 inch one. Cut a 2-3 inch x in the middle of each patty so that the air can get out and they cook in the middle. Fry in a skillet until brown on each side. Every housewife had her own favorite recipe. Stir constantly with wooden spoon, until all ingredients are dissovled, then continue stirring occasionally for the next 24-36 hours. the first tow or three stirrings, after the initial stirring, should be spaced at intervals of 30-45 minutes. Pour into flat pan and let harden for cutting. This is an old recipe and my g-grandmother and g-aunt used a thick cream sauce rather than mashed potatoes and did not remove the bones. 1 can salmon, 2 cups mashed potatoes, 1 egg, cracker crumbs. Remove bones from salmon, then mix salmon, egg and potatoes together. Add enough finely rolled cracker crumbs to form into croquettes or patties. Dip in cracker crumbs. Fry to a delicate brown in hot lard.